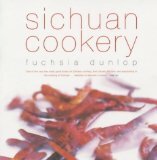 My first book, Sichuan Cookery (published in the US as Land of Plenty), was chosen by the Observer Food Monthly as one of the ten best cookbooks of all time! Crazy, but delightful! To me, it is the book against which all other cookbooks I read are judged. Very much deserved, in my opinion. Though shocking that the Observer has not got someone who can fact-check the name of the city where you studied. “Chendung” indeed!! I agree w/ James. Land of Plenty was the cookbook that got me into Chinese cooking, and seemingly the only one I could find at the time that accurately recreated recipes I had been enjoying for so long in China. Thanks for inspiring us! Definitely well deserved. Ever since buying it has been my favourite cookbook (of about 250 I own) and I ended up travelling China for a couple of months pretty much on the back of reading it and wanting to find out more. Not so crazy. Your cookbooks are essential in helping to involve westerners in authentic Chinese cooking. You should be proud. Thanks so much for all your very kind comments!